Applications module Page wizard / Click on "Next"
All of the available elements are listed here. 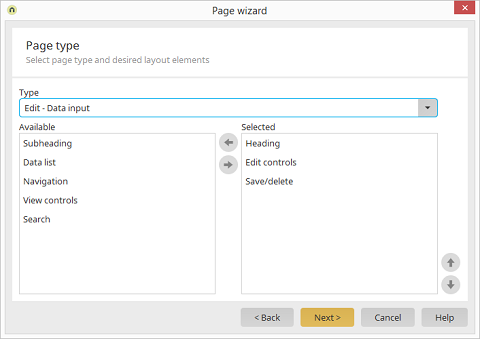 Depending on which page type has been selected, typical elements for such a page will be added here. Move the currently selected element from one list to the other. Adjust the order of the elements.